I revised this post in August 2012 to create a nine page, five step guide to beginning a class blog. Feel free to view, print or download the document to help you get started on your blogging journey. I love this post! So informative and comprehensive. It’s personally very timely for me as I’m starting a class blog this year; I know I’ll be referring back to this several times over the next few weeks. As I began researching blogging and class blogs, I stumbled upon you and your quad blog, Mr Avery, and Silvia Tolisano’s blogs/work. I’ve been impressed (and so grateful) at the emphasis you all place on develop high literacy skills through blogging, blog and copyright etiquette, and quality commenting. So, a huge THANKS for the great learning resource you’ve been. At the Learning at Schools Conference last week, I heard the term ‘spontaneous sharing’ – how cool is that! Professionalism and PLNs in action! Your comparison of Blogger and Edublogs are useful as I’ve researched this but found nothing as clear. I created my blog at the end of last year on Blogger and have a hidden Edublog for trial/comparison purposes. Thanks for the extra info. I’m looking forward to sharing your class blog with my class as an exemplar blog. My advice for new bloggers is… give it a go, and persist! If you enjoy it and are passionate about it, and you share that enjoyment and passion with students, they want to be involved in it! Good luck for the start of term this week! I found your post really helpful. My Y2 class and I have only been blogging since Sept but, in this short time, it has become a really important tool in so many different ways. I decided to use Blogger because it just happened to be the first platform I came across and it seemed user friendly. Other teachers at my school are having a go with Edublogs so it was interesting to read your comparison. Also, thanks to your post I went off and found out the code to remove the ‘next blog’ link which had been bugging me. I was considering inviting the parents for an info session and reading your post has confirmed that it would be a good idea. I’m not sure I have sufficient blogging experience to offer assistance at this point. However, I do have a question and an additional platform suggestion to add to your list. The question: As you area all very experienced bloggers with your classes, I am wondering about undertaking it in a larger situation. I teach in a computer lab which means I would be working with 26 classrooms of over 600 students. It is for this reason that I am leaning toward using Kidblog.org since I can create multiple classrooms under my umbrella account and have some great safety settings I can enable like requiring the approval of posts before they go live. But, I’m still haven’t completely wrapped my head around managing so many students in this little endeavor. So, any suggestions would be very welcome. Thanks for your comment. Kidblog has never been a platform I have been interested in. For me, that whole interface is quite unappealing. Unfortunately, I’m not in a position to comment on whether it would be a good platform for your 600 students. Maybe there is someone at Kidblog you could email or if you’re on Twitter, I’m sure there are Kidblog users on there you could talk to. Sorry I can’t be of more help but I don’t want to lead you astray. Just wanted to say that your post is so helpful for new teachers. I’m trying so hard to get new teachers to start blogging and I know that I’d point them in the direction of this blog and this post to help guide them on their way. Thanks for sharing! So glad you’ve got something to point teachers to! This a great post! Thanks for sharing your ideas. It’s information like this that will get the ball rolling and more teachers open to the idea of blogging. I will add a link to this post to my post about classroom blogs if that’s okay. Thanks for your commenting and linking on your blog. 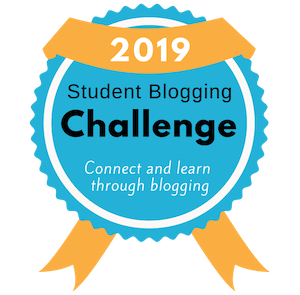 I’d love to see more teachers reaping the rewards of classroom blogging! Your notes and PD have been so helpful to us with setting up our new blog. We have our basic blog set up but I have a question that confuses me. Our tech support teacher, AP and I thought that our student internet agreement (safe use of the internet), photo permission form etc should cover the students participation in the blog. Do you use an additional blog permission to this? I have created an information sheet identifying what a blog is, safety etc and have all the internet permissions but I’m wondering if now we should wait for additional permission. I’m glad you have your basic blog set up and you have a good question. Yes, the standard permission does cover the students, however, I have found that is not enough for me. Because blogging is such a big part of my classroom I like to make it very clear to the parents exactly what they’re agreeing to. The reason I have made my blog permission form very explicit is because over the years I have had questions from parents about certain things that were on the blog that they didn’t think they had agreed to. I even had someone from DEECD questioning what I was putting on the blog last year but with my form I can be clear about exactly what parents have agreed to and there are much less questions and confusion. That standard permission is just a bit grey for my liking. Does that make sense? In the last few years, we have even had parents who said ‘no’ to the standard photo/internet permission say ‘yes’ to the blog because they knew exactly what was happening and what our guidelines were etc. It’s totally up to you how you do it though so you just work out what is best for you and your school. I have been following your blogs for the past 12 months and in the process of setting up one for my class. Do you mind if I use your blogging information sheet and permission note for my class as I also want it to be very clear to the parents. If okay, I will suggest them to browse over your blog to see what blogging is all about and if not that is fine, I will try to create my own. Thanks for your comment. I’d be happy for you to use the resources with attribution. Oh course they can check out my blog. Great idea! Thanks for that, will definitely acknowledge your work. Thanks again. Will share our blog once up and running. Once again you provide a very detailed tutorial for starting a class blog. Your posts helped me smoothly navigate blogging and they still do. Thank you for taking the time to inform and inspire! You are very generous to share your learning and resources. 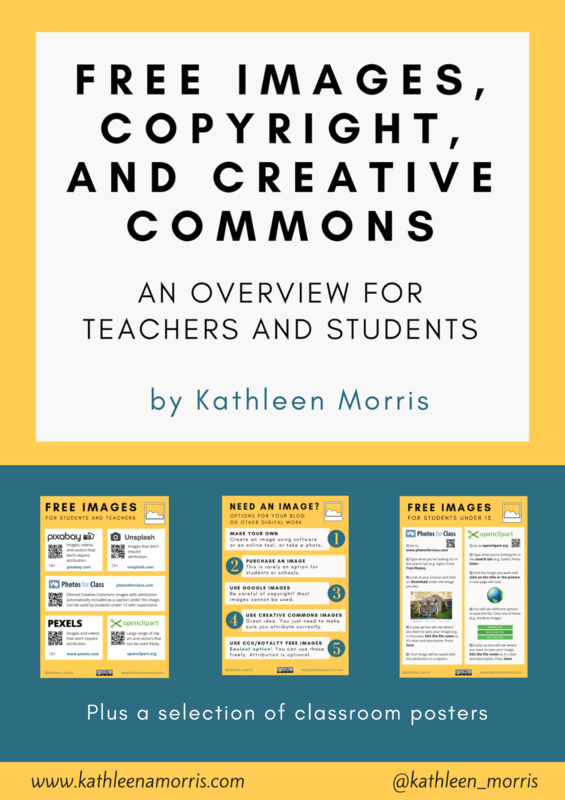 Thanks so much for your kind words and I’m glad you enjoyed this resource! I love your site and was going to start up my own blog soon. Just wondering if I can also use the permission form and FAQs with proper attribution? Thanks. That’s fine – happy blogging! What a well of resources you have available for teachers that are just beginning the blogging journey. Thank you so much for sharing these with us. We have just began to set up our blog are looking at beginning our blogging journey sometime this term. Is it okay if we base our parent letters and permission slips around the ones you have already created? Thanks for your lovely comment. I’m more than happy for people to use any of my resources with attribute. Good luck with your blogging journey, I know you’ll love it! I am also beginning my blogging journey with a very enthusiastic group of 10-11 year olds here in the Pilbara. Your tips, tools, reflections and exemplars are fantastic; I have been following your blog and learning from your generous sharing of your professional knowledge. I love the emphasis you place on improving literacy and on collaborating and sharing knowledge. I have based some of my parent notes and early teaching about blogging on your resources and have acknowledged your site on our blog. Thank you! I look forward to learning lots more from you on this blogging journey. Thanks so much for your lovely comment! I’m so glad my resources have helped you out. I will have to check out your blog. Good luck and hope to hear from you again! I work in a secondary setting but everything about blogging that you post is so useful for us too. I have circulated details of your blogging advice to other teachers in my school who want to blog with their classes. Thanks so much for sharing my resources! Wow! This is a great resource. We are moving to Edline as our web service provider and as I learn to integrate more web 2.0 tools in my classroom. Setting up a blog is something I really want to do. The information you have provided is so through and easy to follow I will hold on to it so as I move toward next school year I can use the information. Thanks for all of your hard work on this! I absolutely love your site and have been a frequent visitor to your class bogs for a few years now. I am about to start a class blog of my own and was hoping I could use your permission form and FAQs with proper acknowledgement? Of course you may. Good luck with blogging this year! I’m sure your students will get a lot out of it.